The death of Windows Live Messenger is nigh — in another life known as MSN Messenger — but Microsoft is holding on to its 100-million-plus users by migrating them to Skype . Why? Messenger was dying, its user base was dwindling, Skype is getting stronger by the day, and it’s generating millions in revenue. Microsoft had two services on its hands and more than 100 million users to spare, and killing a service without a path or direction to channel those users could — heaven forbid — land in the competitor’s hands. Messenger was making a fraction of Skype’s revenue by comparison, and Microsoft wants to start generating its $8.5 billion back that it spent on the Skype purchase in the first place. It’s all about the money. Sorry, users. You’re on the back seat on this. By shifting its entire base of consumer and small-medium sized business (SMB) users on a single instant messaging and voice platform that’s proven to be stable, popular, and on the most part free, Microsoft can open up above all the opportunity for users to exploit the ‘freemium’ model that Skype offers. Because… Skype isn’t free. It is for certain things — one of the main reasons why the service so popular — but under the belly of its free features offers a wealth of services that cost the end user. This guarantees a steady stream of revenue for Microsoft in long-term payments for premium services, like online numbers and business accounts, and the increased user base from former Messenger users only expands that opportunity. While at its peak, Windows Live Messenger had more than 300 million users, it fell out of favor with the crowds. It now has “100+ million,” according to Microsoft, a drop by two-thirds in the space of three years. Messenger was a sinking ship after the ‘death’ of Windows Live . While Messenger was still generating some money through its ad-support, it wasn’t generating nearly as much as Skype did. But customers ultimately migrated to private Facebook chat and public Twitter communications, while Microsoft dished out Lync, its enterprise-friendly platform for business clients. Messenger users were simply left out to pasture. Skype, on the other hand, currently draws in 40 million online people at peak times. Microsoft snapped it up last year and turned it into a Microsoft division, but while it was ticking away on its own, generating modest sums of revenue, Messenger was sinking into the mud and hemmoraging users. Microsoft’s Entertainment and Devices division was up by $276 million, mostly down to the Skype acquisition. Even if we say Skype brought in a conservative estimate of $200 million, that’s still a great deal more than a few banner ads in a software program used by only 100 million people would have done. But Skype is free. How is it making money? 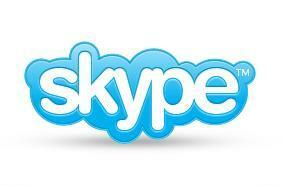 Skype-to-Skype calls are free, as are Skype to Facebook and Messenger instant messaging features. What lies underneath is the ‘freemium’ model of free-to-use but cough up when you want to call overseas, of use the bevy of business features like group video and the like. While Skype is currently reserved for those falling in the consumer, and small-medium sized business (SMB) categories, Lync is reserved for business users in the enterprise. Most will go through their working and playful lives without spending a cent on Skype, but for those who use it for business use can do for a price, a low price at that. The more customers Skype gets through the Messenger ‘transition,’ the more features that can be added of a free-to-premium model. One Microsoft top brass suggested the firm could start charging for additional features, such as video archiving and authentication features, adding more corporate appeal. It’s unlikely that Skype would ever become a wholly premium service — there would be an uproar — but bit-by-bit Microsoft can add the features guaranteeing a stable stream of revenue over time.